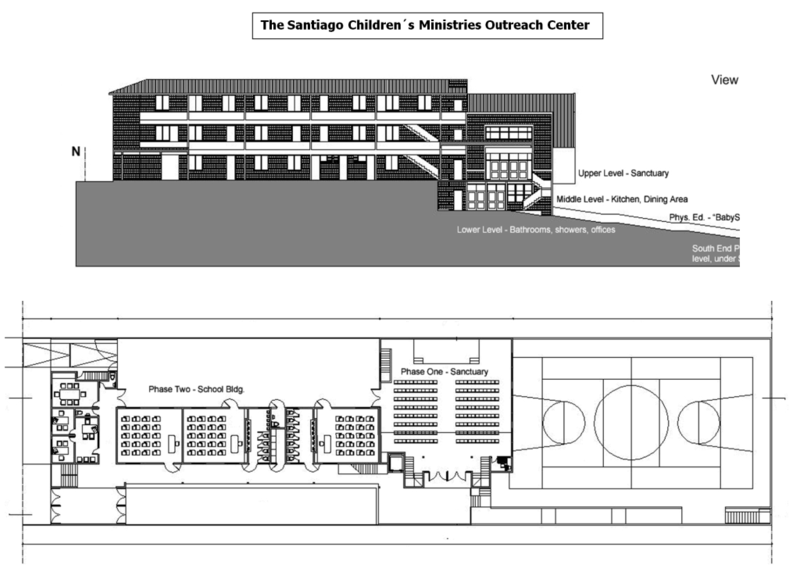 Jim & Ester are building a Church / School complex of buildings to house the Santiago Children’s Ministries Outreach Center. Think of this as a church, a school, and a rescue mission for abused kids all rolled up into one.This project (No. 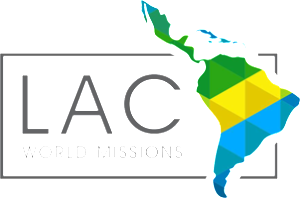 8343) is approved by Assemblies of God World Missions. The Santiago Children’s Ministries Outreach Center is a place where needy children in Santiago, Chile are being reached with the Gospel of Jesus Christ in word and deed.Some of the kids Jim and Ester are reaching are the offspring of prostitution, others live with parents who deal drugs, others come from more stable homes. Most of them live in poverty. Seventy percent of all babies born in Santiago, are born outside of a marriage. This results in many thousands of children living in high risk environments, in extreme need of Christian ministry and witness. These buildings will play a key role in reaching hundreds of such kids for Christ. PHASE ONE – will consist of a three-story, reinforced concrete and brick building, inset into a hillside. The lower level will be at walk-in level from an athletics field (South side) and will provide lockers, bathrooms and office spaces. The middle level will consist of a large kitchen and dining facility. The upper story – walk-in level from the North side will be a church sanctuary with balcony. PHASE TWO – will consist of a three-story, steel and brick elementary school, for grades Pre K – 6th. PHASE THREE – will consist of a reinforced concrete structure housing a parking garage, beneath the future athletics field (South end of the property). Funds and volunteer construction teams are urgently needed. If you would like to learn more about how to send a group of volunteers please click here. Thank you for your help. May God richly bless you for it. The video below was created by members of Bellevue Christian Center, Bellevue, NE. It is their testimonial about their visit to the Santiago Children’s Ministries Outreach Center.